Suggested Donation is $10 Locust Projects Members, $20 non-members. All proceeds will support future programming at Locust Projects. Locust Projects presents ONE NIGHT STANDS, a series of imaginative social events. For one night only at venues across the city, each event will feature a collaboration with creative producers and emerging entrepreneurs approximately every two months. 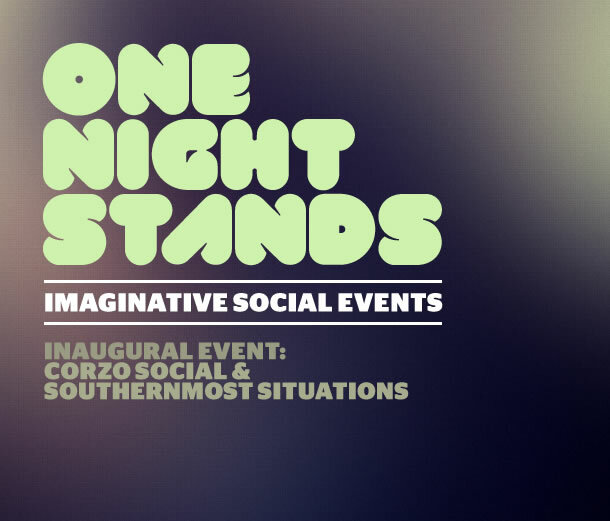 We are pleased to announce the inaugural ONE NIGHT STAND, “Corzo Social & Southernmost Situations” which will take place Thursday, June 21 at Ricochet Bar and Lounge. Join us for complementary Corzo tequila cocktails and Grolsch beer from 7-9pm as Miami-based creative collective, Southernmost Situations animates the event.